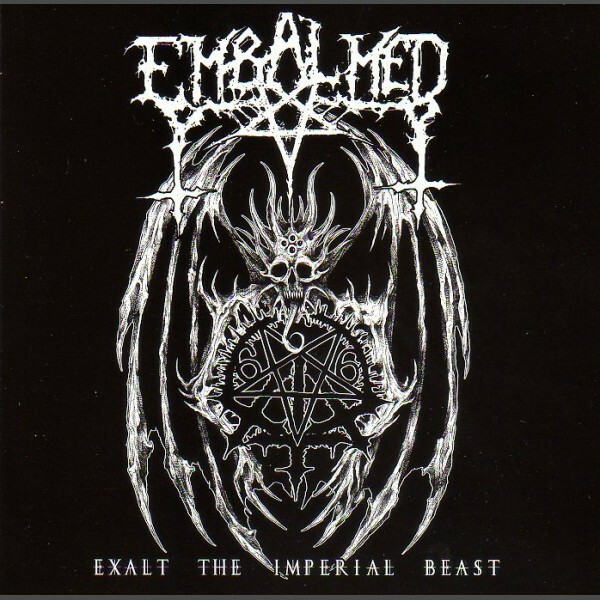 After 17 years of strategically scattered EPs & demos, EMBALMED finally mark their triumphant return with their very first full-length album. 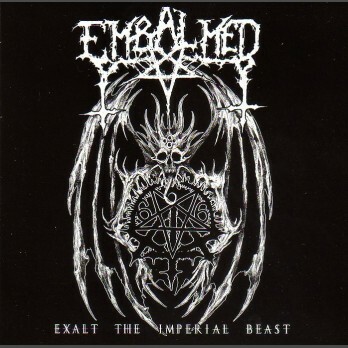 Hailing from the darkest abyss of Mexico, EMBALMED leave nothing to subtlety when it comes to their raison d'etre - "Exalt the Imperial Beast"! A ceaselessly violent, gnawing torrent of black/death barbarity and sulfurous ritualism that is equally atrocious and dark but still retains a certain Death Metal character in the songwriting. A cult name that lurked in the shadows for far too long, EMBALMED surpass 95% of what is being offered in the current "black/death" scene - worship or die! Available on Silver Vinyl. Cover & insert have metallic silver ink. Killer cover artwork by Antichrist Kramer. 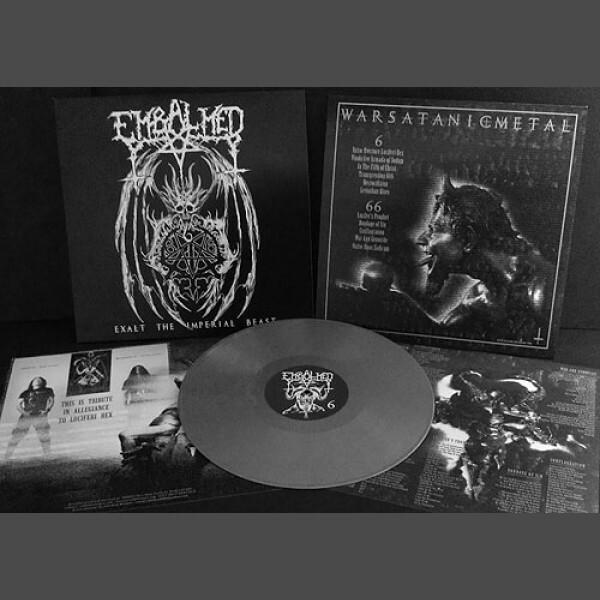 Recommended for diehards of BESTIAL WARLUST, early MYSTIFIER, classic TEITANBLOOD, IMPURITY, and NYOGTHAEBLISZ.